Now that digital publishing has entered the playing field of the World Wide Web, a new question arises over the horizon of online book publishing. Is it possible to make money when publishing a book? In this article we address the question for those considering entering the ring of digital book publishing. detail the difference between digital publishing and traditional publishing. Now that digital publishing allows any of us to print just one book affordably, that makes self-publishing doable for a one person enterprise. Before we can talk about making money in publishing a book, we need to talk about the costs involved to get started. Since expensive printing equipment or set-ups are not required, that means anyone with a simple computer and an idea for a book can enter the playing field of book publishing. With no large investment required, the potential profit margin obviously skyrockets. 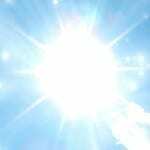 However, expect to put in a great deal of sweat equity, or pay for labor costs involved in preparing the digital file for publication. To find out more details about the exact costs involved in publishing a book, here’s an article entitled Real Self-Publishing Costs to Publish a Book to get a detailed analysis of initial costs involved. Digital publishing equipment has made a new self publisher era possible. No longer considered ‘vanity publishing,” many successful traditionally published authors are getting excited about the size of their royalties made by publishing a book themselves. Take Barbara Freethy, for instances, Author of 34 novels including the Wish series and first author on Kindle and Nook to sell one million books. She has been writing for 20 years, and was published through four different publishing houses. Freethly is now self-publishing. “Once I saw how well my self-publishing books were doing and how much more attention and focus I could put on my own books, it was a pretty easy decision [to continue self-publishing] because those books have been doing so much better,” Freethy comments. Amanda Hocking has made millions with her romance series with on e-book platforms as well. Considering now that the self-publishing industry is estimated as a 52 million dollar industry in 2012, there is certainly big money to be made in publishing a book. This is true now, more than ever, especially when self-publishing figures appear to be eclipsing traditional book publishing numbers many times over. Amanda Hocking and Barbara Freethy are just two of the most well-known millionaire authors; and this article barely scratches the surface. Huffington Post Live has a comprehensive video interview which interviews the some of today’s most successful self-published authors. With the publishing playing field leveled they interview Hugh Howey, Darcy Chan, Bella Andre, Jasinda Wilder, all New York Times Best Selling authors, and all approaching 1 million or more in book sales. With royalties what they are in self-publishing, you can bet those sales numbers has brought each of these authors millionaire status. Ah. Does self-publishing success equal money? Most of us think that success shows up in the form of money, and that is true to a certain extent. However, before the money flows, we must build momentum with committment, passion, and focus. So putting the money issue aside for a minute, Consistent, Committed, Focused Passion towards a dream does pay off. Just when you think no one is noticing your work…Bam! Someone notices. 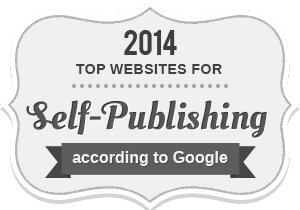 I joyfully announce that PublishingSOLO.com is selected for an award as a Top Self-Publishing Site for 2014~ Woo Hoo! My Thanks go out to all the authors who have published through Publishing SOLO, for without them there is no PublishingSOLO! The short list is Emily Yurcheshen, Suzanne Landry, Julia Loggins, Cindy White, Maya Shaw Gale, Audrey Addison Williams Robert Munster, Karen Maryum Morse Eve Morong-Briere, and dozens more. In fact, if you would like to see all the first time Publishing SOLO authors you can visit the Author Library page on our site. I cordially invite you to take a leisurely stroll around this now award-winning site to learn how you can also experience self-publishing success. 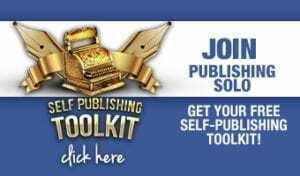 Join Publishing SOLO and get a free self-publishing toolkit right off the bat. Read the comprehensive articles to get the real inside truth of what self-publishing really involves. Get informed before you jump into a project which could be more expensive than you anticipated with a higher learning curve that you expected. We offer enough free information on this site to save you hundreds of dollars in wrong turns, or in learning how to publish a book on your own. Additionally, if you want even more help, we offer DIY Books, Courses, and private coaching. Ms. Nelson even offers half hour free publishing consultations on Mondays with no obligation. She only wants writers to bring their passion to the world and to experience the self-publishing success that is so exhilarating. 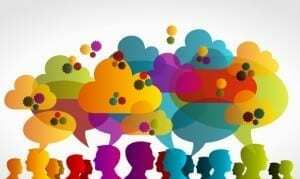 Is it possible to make money in self-publishing? How much money can you make? In this YouTube video self-publishing success Amanda Hocking tells how she did it. Ever wanted to learn how to publish a children’s book, a novel, or business book? Friends, family, and peers see you in a whole new light once you become a published author. Deborah S. Nelson, author/publisher of 14 books gives away the store on how to write a book. Just like eating an elephant one bite a time gets it done, Ms. Nelson teaches how to write a book one word at a time! Is it digital publishing really worth it? The cost, the time, the learning curve? 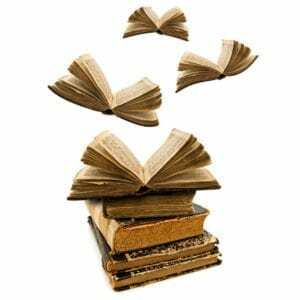 Why should you self-publish a book? Are you ready to self-publish a book? Publishing SOLO tells all. Are Authorhouse, CreateSpace, LuLu, and the other print on demand companies really free? Yes, and No. Get the real scoop on the costs to self-publish a book, and what it takes to achieve self-publishing success. Self Publishing Success-Not Just Vanity Press! 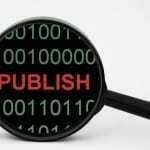 Recent reports of self publishing success ia proving the idea of vanity publishing to be a thing of the past. Remember the term vanity publishing? Vanity publishing has given self-publishing a bad reputation. Let’s face it. Vanity publishing says ego-publishing. Vanity publishing says you aren’t good enough for a real publishing company. It says you are not a good enough writer. To use a vanity press company to print your book was borderline public embarrassment. This is no longer the case, if it ever really was. This image developed when traditional book publishing companies were married to academia. People with Ph.D’s or highly educated with a high measure of honor, knowledge, and reputation were published. In modern times, media personalities, celebrities, and politicians qualified for this set. Anyone who wasn’t scholarly, yet published anyway, was considered vain. After all, they did not earn the credentials to educate the masses with writing and publishing a book. This was an honor reserved for a privileged few. Certainly, the main publishing houses perpetuated this idea to counter their competition. With verified facts and reports of self publishing success that has all changed! With the invention of the digital printing press, a large investment to cover the expenses of inventory of books is no longer necessary. 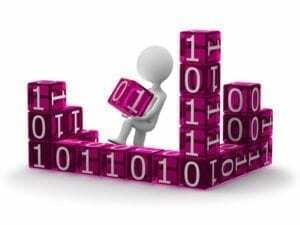 With digital publishing, the main thing required is to set up a digital file. Using print on demand, books are printed as ordered, as few as one at a time. 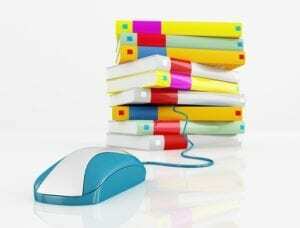 Self publishing success is just a digital file away! 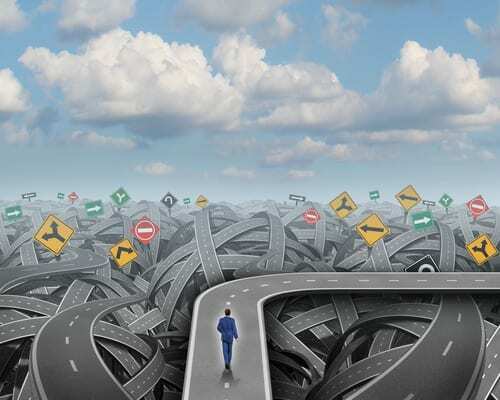 “Self-publishing is now supported by a sophisticated and highly accessible support structure,” said Beat Barblan, Director of Identifier Services for Bowker. Bowker Books is practically the Bible in the book publishing industry. They produce a yearly directory of books, entitled Books in Print which is a book catalogue with ISBN numbers, to help identify books for ordering. Creators of products and services that make books easier for people to discover, evaluate, order, and experience, Bowker also conducts research and resources for publishers. 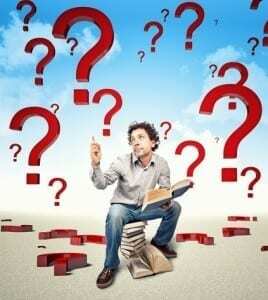 In this article I will give a short overview of how to self-publish a book. Today, many options are available for self-publishing, but the one we are addressing here is the printed book. The printed book is still alive and well! Publishing a printed book to sell on Amazon through other online booksellers or even in bookstores or in person is a key step to becoming a self-published author. Once you organize the concept, content and flow of your book, and set up the basic file for printing, you will easily be able to created the other digital versions from that foundation. Once you create the digital file for printing a physical book, the options are almost endless. From here, you may create an audio book (either downloadable or on a DVD), an e-book, Kindle or Nook, and many other options which can be distributed from various book publishing online networks. You can also create a digital flip book version and make it downloadable from your website. Consider the many top book publishing platforms which include Kobo, Kindle, Smashwords, and CreateSpace. Do your research to find which options are best for your book. Books which are graphic intensive, four-color, or with photos are not suitable for Kindle. However, you can create a four-color digital version of these types of books to be read from a computer screen with animated pages that flip and turn. 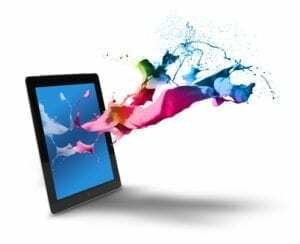 Some of the digital publishing platforms are helpful to bring your book to market, but with self-publishing you will need to be involved in marketing and sales of your books. After self-publishing and assisting many self-published authors to self-publish some 100 plus books, I strongly suggest any self-publisher to focus on each stage separately. You may experience overlap between the phases, but these are best limited to transitional only. Similar to building a custom home as your own general contractor, you can unknowingly and quickly create a nightmare situation if you are not clearly focused on each phase of the process. Each one depends on and is defined by the earlier phase. Finish one phase completely before moving onto the next. When building a home, you pour the foundation first and then let it cure before proceeding. When writing a book, write the book first. To go back and change the foundation once the framing is finished is not a good idea. Likewise, to go back and rewrite your book once you are in the publishing stage is an invitation for disaster. Write your book. Pause. Publish Your Book. Pause. Market Your Book. Pause. Carefully learn the steps of how to self-publish a book before embarking on this compelling mission. Learning how to self-publish a book is easiest if you start with a small project first. Digital publishing is not a simple matter if you have never done it before. Many steps are involved which need to be taken in chronological order. For example, many people confuse editing with proofreading and copy editing. These are three distinct and separate skilled tasks. Learning how to self-publish a book and therefore becoming an independent publisher is no less complex than becoming a general contractor to build your own home. To proofread a manuscript before your content edit would be like painting walls before you put the wall plastic on top of the sheet rock. The beautiful paint would get covered up by the plaster finish. The same is true if you proofread before the content edit is completed. First hire the content edit, next the copy-edit, and lastly, at the very end, you may have the proofreading done (i.e., painting). Of course, you are absolutely encouraged to run spell check after you have completed the writing of your manuscript, but after that, forget about proofreading until the very end. Concentrate on organization, content, and flow. The Once Upon a Book Video Series outlines the ten basic steps of how to self-publish a book. Starting with a four-color book is more complicated and difficult to carry out for a first self-publishing book project. If working on a children’s book which requires color illustrations, to increase your chance of success I suggest first you start with a creating a book blueprint in black and white. The reason four-color is complex is because instead of printing one color (black on white paper) we have introduced the spectrum on colors, and this requires a more time-consuming and expensive process. The books are from three to five times as expensive as the black and white counterpart. The set up and printing job is more challenging. To get this right, I suggest that you first create a book blueprint. Be your own architect and get this part right before you print in expensive four-color book run. First create the book in black and white and use one of the print on demand companies such as CreateSpace of LuLu. Then simply print a black and white proof for about $10 on CreateSpace (sign up here for a free CreateSpace Account); and work out all the bugs on this black and white blue print. Next you can enter into the four-color phase of printing your children’s book or other four-color book. First learn the steps of how to self-publish a book before you publish a complex book. Another way create a full-color book blueprint sample is join www.blurb.com. They do four-color books one a time. However, Blurb is not a good option for a final print run if you plan to sell and market your book. Although reasonable for producing one four-color book, the price per book is quite high, but well-worth doing as a book blueprint, to get the bugs worked out before moving forward in your book project. Learning how to do anything has its risks and rewards. Learning how to self-publish a book is a phenomenal economic skill to develop. By becoming a published author once, it is easy to repeat time and time again. entrepreneurs, home makers, artists, and grandparents are discovering the joys of publishing their own books. Take the steps and you, too, can feel the exhilaration of becoming a published author, and share your inspiration with your circle of influence. Look no further. This potent learn-by-doing guide grants you the time and know-how. Learn to how to self-publish a book by doing it! Once you become a published author friends, family, and peers will see you in a whole new light! This unique new system guides and propels both aspiring and seasoned authors step-by-step through the digital publishing process. You won’t even need your completed manuscript to get started! One of the first things I do, and one of the first things I recommend all my writer-clients do, is to create a book cover as soon as possible. In cases of ongoing publishing clients, I recommend them to create to the book cover before they finish writing the book. And that’s where CreateSpace Cover Template comes in. We always seem to need it and never can find it easily on the CreateSpace website. I am including the link below for easy access. It is OK to Judge a Book by its Cover! 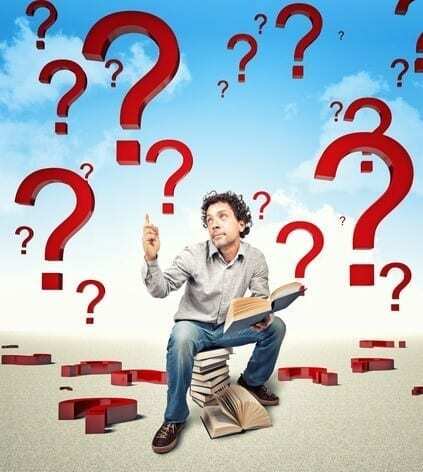 The book cover is the most single important aspects of book publishing. If you are creating a book cover you’ll want it exciting! If you will make your book available for sale online, you’ll most likely want to create a custom book cover design.. If you are self-publishing a book and using print on demand, the first step will be to use the CreateSpace Cover Template tool. If you haven’t done so already, you will need to sign up for a free account. (Sign up here, right now). Next, you’ll need to download the correct CreateSpace Cover Template to send to your graphic designer. 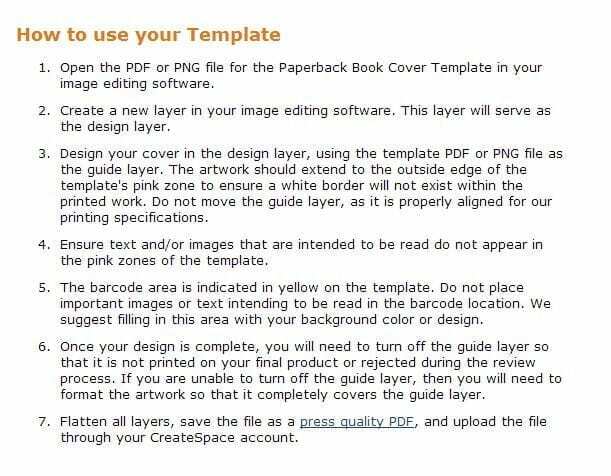 If your graphic designer does not have or follow the correct template, Createspace will not accept the book cover file for publications. The easiest way to get this right is by using the CreateSpace Cover Template Calculator. Where is the CreateSpace Cover Template? CreateSpace login information–your email and password. If you do not already have CreateSpace Account go to CreateSpace.com and sign up for a free print on demand account. The reason we calculate number of pages is to figure the thickness measurement for the spine of the book. If you book is less than about 100 pages, CreateSpace will not print anything on the spine, and your book cover layout will include that smallish blank spine. 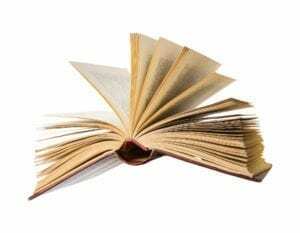 Based on letter size 8.5″ x 11″ manuscript, single-spaced using 12 point type and Times New Roman font, if your book is 6 x 9 or less, you can about double the number for your published book. For 100 pages of typed material in letter size at 12 points you can estimate your book will be 200 pages when published. For an 8 1/2 x 11″ book, add about half of the pages to your total pages to be printed. You will need front matter, back matter, headers, page numbers, margins, illustrations, dividers, end notes, About the Author, Resource Sections, and more. See my Book Blueprint book to for more details about the parts of a book. Once the interior design of your book is completed to the specifications required for printing, you will have an exact count of pages. At that time you may use the CreateSpace Cover Template Calculator again, and then ask the book cover designer to make an adjustment in the size of the spine on the book cover layout, if necessary. This is what the CreateSpace Cover Template Calculator looks like. 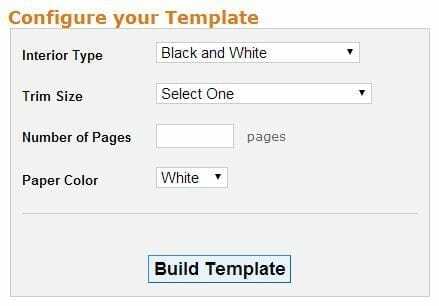 Once you know your trim size, number of pages and interior type (black and white or color), you can use the calculator to create your cover template. Next send it in an email to your book cover designer, and keep in mind the file must be in a print ready high-resolution PDF. Let your cover designer know these specifications, so you will not have any trouble when it comes time to upload your book cover file to the CreateSpace Independent Publishing Platform. If you are a graphic artist and can thoroughly understand the steps below, then I would urge you to design your own book cover just how you would like it. If not, I suggest hiring an expert in book cover design. We offer book cover design services at a very reasonable cost to our students and clients should you need someone, just contact us and we’ll make our best recommendations. Self-Publishing in the digital publishing age is an amazing option for those who have always dreamed to publish a book. But what are the real self-publishing basics you need to know to get started? Using print on demand is almost a miracle when compared to the traditional way of publishing a book. Since I have self-published (or helped writers) with nearly 100 books, I am extremely familiar with the process. As a publishing coach, I find a lot of confusion surrounding the use of the term “self-publishing.” So before I go any further in this article, let’s define the term “self-publishing.” Self-publishing is the process of bringing a work to market by its author. There are many so-called “self-publishing” companies online purported to be self-publishers, when in reality this is not possible. The true definition is that the creator/author is the person who brings his or her works to final printed form. This means that you as an author, take on the role as publisher. We all have our niches. I specialize in guiding people through the self-publishing process for a physical book. The e-book trend is starting to subside, and the good old-fashioned printed physical book remains a standard. New reports are show that the growth of e-books is slowing, and the printed book is showing a stronger trend. This article and site provides tools and resources for those publishing a book, a physical book. Print on demand is the most recent development in digital technology that has made self-publishing possible and affordable to the masses. Basically print on demand is a digital method of being able to print one book at a time without costly setup charges. Digital art and digital printed presses make it possible for the print on demand company to print books as they are purchased, thus avoiding a large investment in inventory, and expensive set up costs. The biggest problem in the self-publishing arena right now, besides the fact that the terminology is misunderstood, is the fact that many of the print on demand printers are representing themselves a “self-publishers.” This is quite misleading, and for those “who don’t know what they don’t know,” which is most of us; they easily go down a path fraught with unexpected technical frustration and over-spending in order to finish their book. It becomes like a remodeling project gone bad. 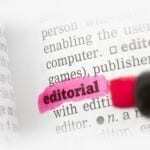 Is is better to know what it requires to be your own publisher. Below is a list. 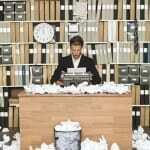 1.Project Management: As your own publisher, you become the “general contractor,” the project manager. You make the decisions, oversee the different aspects, pay the subcontractors, and guide the quality of each separate piece. 2. Comittment to Complete: You will need a very strong comittment to complete the book publishing project. It could take up to a year, depending on the size of the project and how much time each week you have to devote. Traditional publishing companies require that authors sign an agreement before they begin the publish. You may do the same. See or Intent to Publish Agreement. 3. Timeline Finesse: You will juggle the interior editing, copy editing, proofreading, design, layout and preparation of the digital art file to submit to the printer, on a timeline, with the book cover design, and the author website needed to market the book. Timing is essential is getting the book published in a reasonable period. Refer to our Self-Publishing Checklist. It could take from three months (if experienced and super organized) to publish your books up to a year or longer, depending on the size of the project. 4. Digital Expertise: You will need to understand basic digital terminology related to digital printing. You may refer to our Dictionary of Publishing Terms, which defines a few basic terms. You’ll need to understand art software, specifications, and basic print on demand terminology. 5. Marketing and PR Ability: These days over 73% of books are sold online, which means you’ll need to market your book online. Having book signings in stores and promoting book sales in that way is quickly fading out, as such small percentage of books are being sold through book stores, so you will need a website. You will also need to learn how to market yourself and your books online. This would be if selling books is important to you. Some people increase their fees to do consulting, workshops, and seminars, and do not have a need to sell a lot of books. 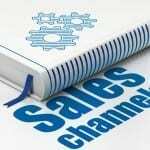 Certainly, if selling books is part of your goal, you will need to learn some online marketing skills in order to promote yourself as an author, and to sell books.